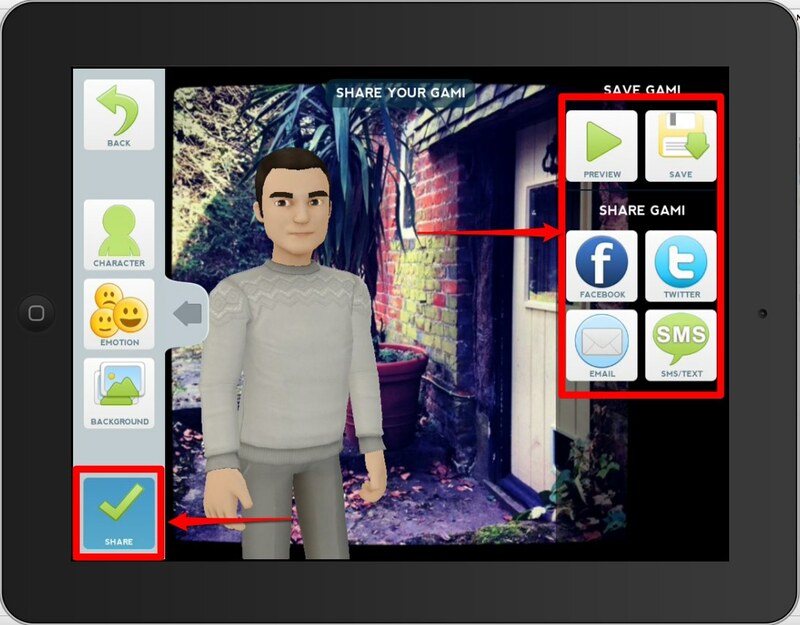 A couple of years back I wrote about a really nice web based tool called Xtranormal and since then I've heard from so many teachers saying how useful their students have found it, so I was delighted yesterday to find that the same makes had now produced a free mobile / tablet app called Tellagami. 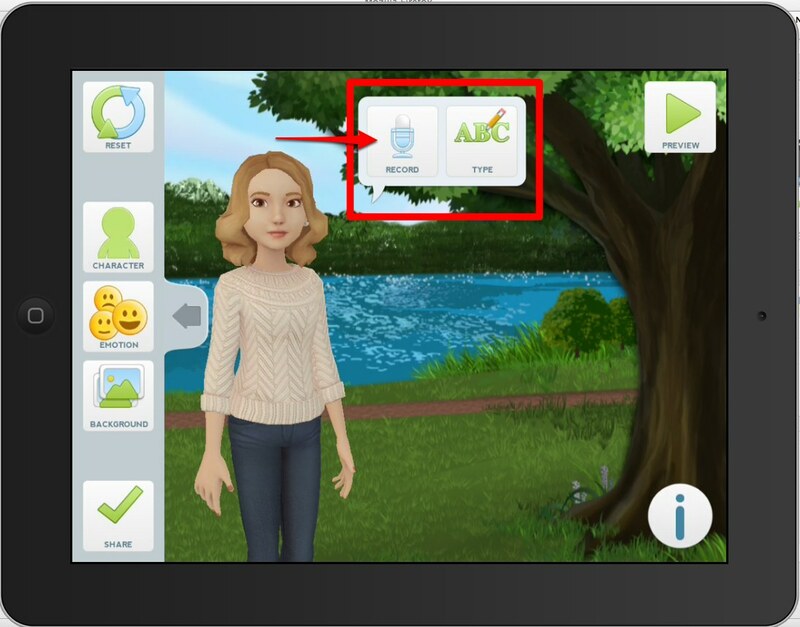 The app runs on a mobile device and allows users to add animated speaking characters to a selection of backgrounds or to the users' own images. You can then either use text to speech to write a script for the character, or you can record your own voice and the app will lip-synch you text to the character. This is very quick and easy to do. Here's how. Open the app an click on create. Then choose your background, either from the ones provided, from your own image library or you can take a photograph of wherever you are at the time. 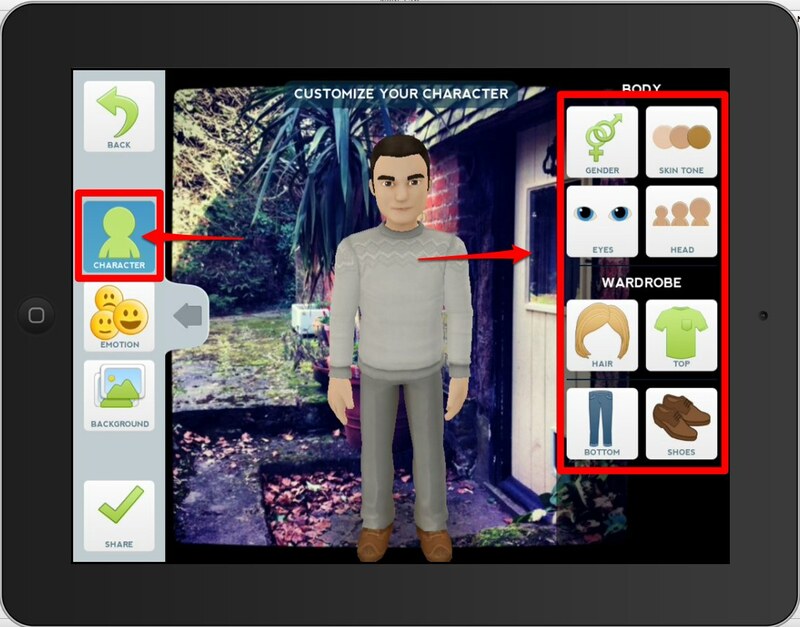 Then you can choose the character you want to use and customise their appearance. 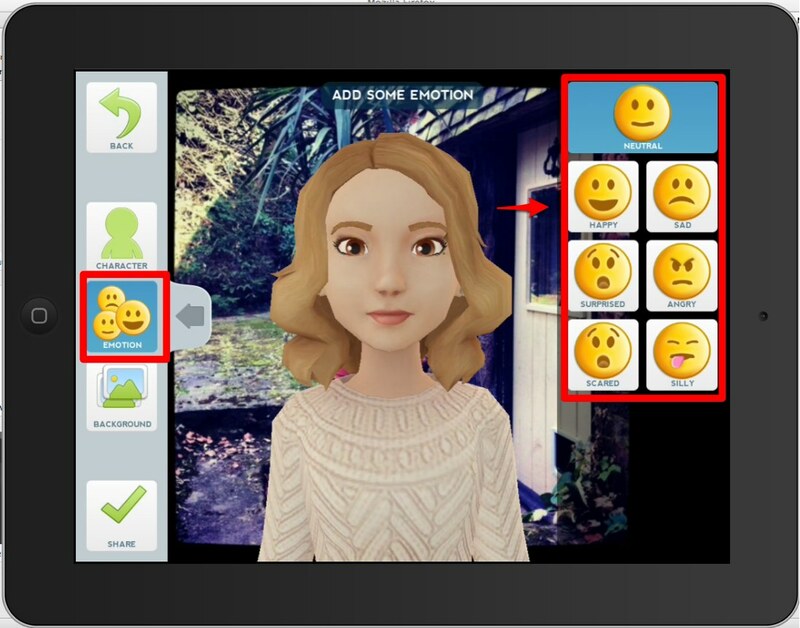 Next you can select an emotion for your character. Lastly, you can either type in your message or record it directly onto your device. You can record up to 30 seconds of spoken audio. Once you animation is complete you can either send it by email, share it through various social networks or just save it onto your device to show it in class. You can complete the whole process in just a couple of minutes. I think this is a great app to get students speaking either in the classroom, at home or while they are out and about in the world. Ask the students to create 4 - 5 animated images explaining their route to school. Get students to create animated images of 4 - 5 of their favourite places around their town. 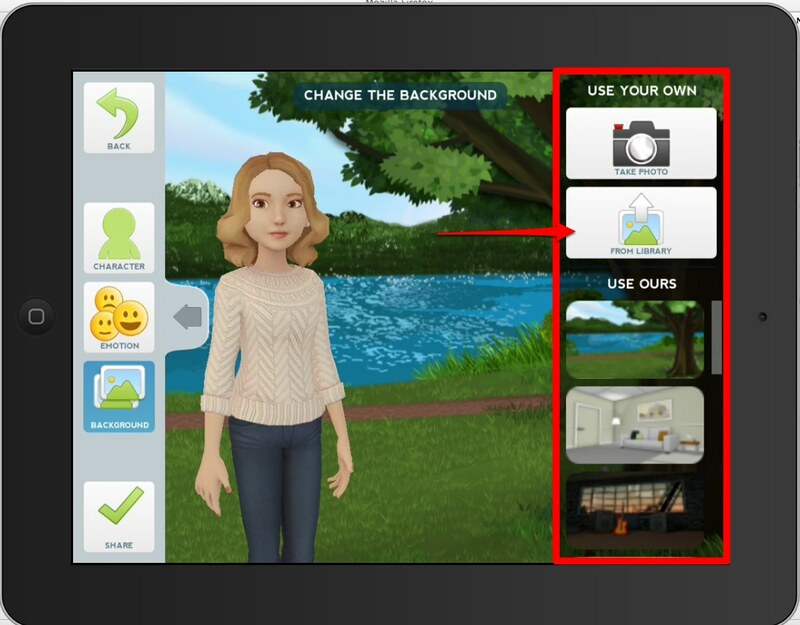 Get students to take pictures of objects and create an animated video dictionary. Get students to talk about images of people in their family. Create some animated images of different steps in a process (making coffee, tea etc) and then get the students to watch and put them in the correct order. Get students to create an animated image journal by adding one new image each day. Get students to take pictures of their favourite book covers or film posters and then record a review. Get students to create animated video cards on special occasions. I'm sure there are lots more activities you can think of. It's free and very easy to use. It encourages students to speak. It can be used effectively outside the classroom. Students can use it to pull some aspects of their own life and experience into the classroom. It produces very professional looking results. At present it's only available for iPhone / iPad so that limits who can use it. 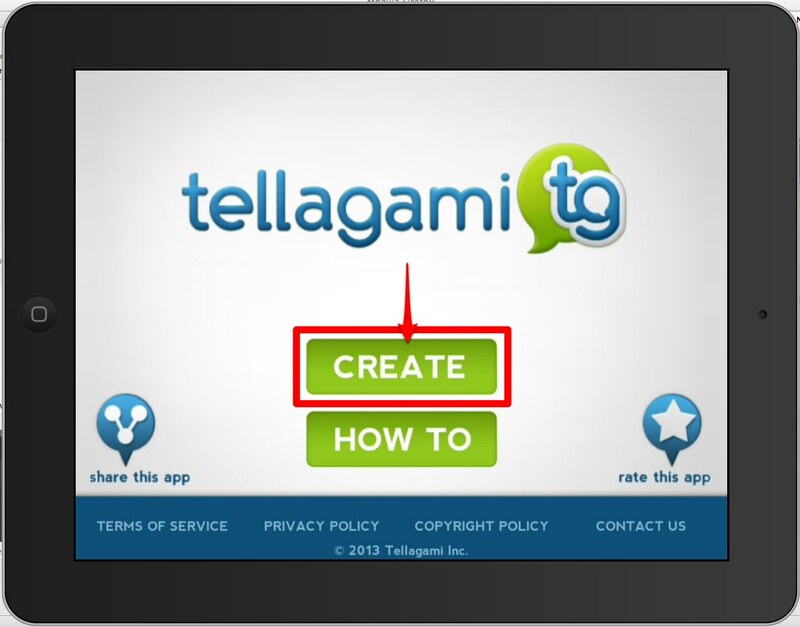 So if your students have iPads / iPhones and you ant to give them motivating speaking assignments for homework, Tellagami is a great tool to use for the job.